Perfectly concentrated powder jet increases effectivity and reduces disturbing powder haze. 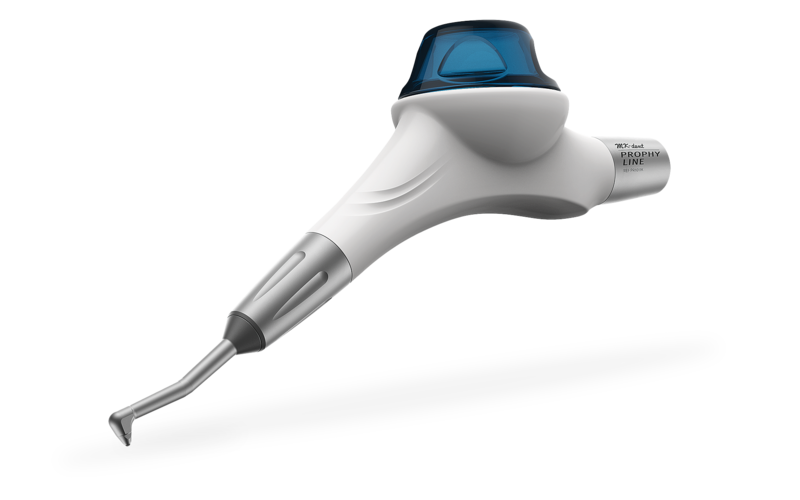 A balanced shape provides an effortless workflow – even in long treatment sessions. The Prophy Line adapts to every existing treatment unit without tremendous installation efforts. It is available for Kavo, Sirona, W&H, NSK and Bien-Air connections. Copyright © 2019 MK-dent. All rights reserved.